A high-ranking North Korean officer betrays his country and steals the secret supernote plates used to create US bills. 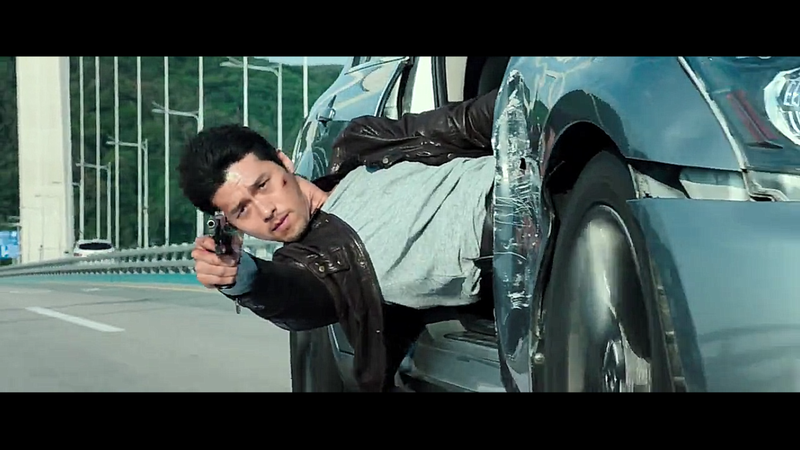 Im Chul Ryung (Hyun Bin) is the only survivor of the crime that took his team mates lives. Now he travels to South Korea to catch the traitor and find the supernote plates. There a South Korean detective Kang Jin Tae (Yoo Hae Jin) is put to keep on eye on him. For the first time the two Korea’s try to cooperate to find the criminal. Confidential Assignment is an action movie through and through. Still, Im Chul Ryung’s character and his stoic North Korean way of behaving compared to South Korean capitalism and freedom, did add a deeper layer to the movie. The differences in language, food, behavior, etc. all make the movie more interesting to watch. Im Chul Ryung’s interactions with Kang Jin Tae’s family were precious: both sides tried -and got along- so well despite their bias’ and history. Confidential Assignment may use a few clichés here and there, but the overall picture is an action packed, entertaining movie.